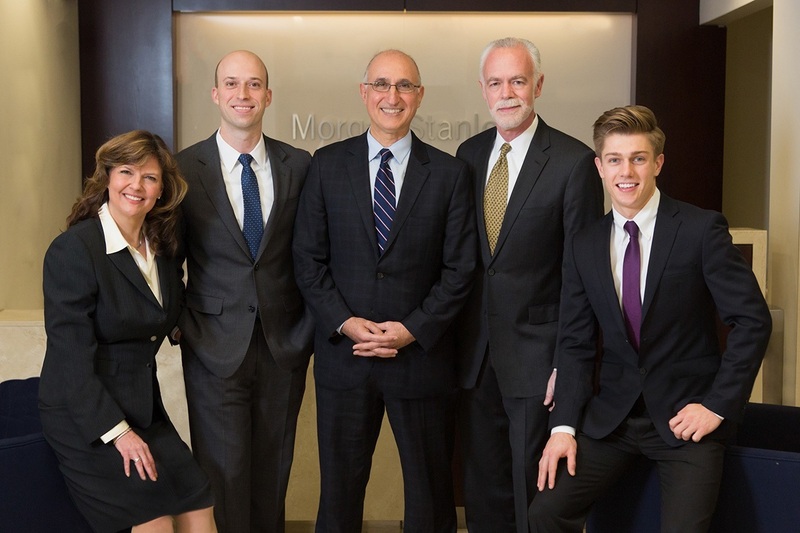 Our investing and wealth management offerings encompass every aspect of your financial world from traditional and alternative investments to comprehensive wealth planning solutions to meet all of your life’s goals. Have extra money coming in? Here are ways to put your money to work for you now, so you can reap the rewards down the road. April 15th will be here before you know it. Here’s an overview of the latest tax changes and what the new law could mean for your situation. Integrating gender-related criteria into your portfolio is getting easier, as investment options proliferate. Incorporating tax-sensitive investing can capitalize on market fluctuations and potentially yield better after-tax results. Enable Morgan Stanley Skills on Amazon Alexa to get our Thoughts on the Market, Ideas Briefing and more. Follow these five steps to spend smartly. Stock market performance now has a lot in common with the late 1990s, but some important differences exist. What might that mean for future returns? As your life evolves and grows more complex, your financial strategy — and the options for implementing that strategy — tends to grow in complexity as well. Our global presence, vast resources and exceptional reputation underscore the strength of leadership at Morgan Stanley. A Summary of Key Legislative and Regulatory Developments Affecting Retirement Savings. Another type of strategy that has gained interest is the use of options to generate income and/or provide some hedge from equity. Commentary and analysis from Morgan Stanley Research on global market topics such as currencies, fixed income, commodities and equities. As the price of cryptocurrencies like bitcoin have fluctuated wildly over the last year, bitcoin, and blockchain, the underlying technology that powers it, have captured the popular imagination. Is It Time to Sell Your Fund? Investors typically spend a lot of time deciding when to buy a fund. But deciding when to sell can be just as important. Learn more about Is It Time to Sell Your Fund? Investors are now seeing that sustainable investing creates a positive impact as well as potentially promising returns. Managing your money can be stressful, but a budget can help. Learn the four steps to create one. After two Olympics, mogul skier Heather McPhie Watanabe knows something about smoothing out the financial bumps athletes often suffer during their quest for gold. This detailed questionnaire will help us create a personalized strategy for you will enhance our conversation around your long-term goals. The recent lack of capital expenditures or productivity growth in the current recovery is poised to turn around. There is a rare opportunity for investors thinking long-term as others obsess over the moves in technology stocks. Helping clients define an investment strategy tailored to their goals, then guiding informed investment choices from among our expansive investment platform, including proprietary and third-party offerings across every market and asset class. Helping clients uncover investment opportunities in companies, organizations and funds focused on the goal of generating social and environmental change alongside a financial return. Offering clients a comprehensive suite of cash management and lending solutions to integrate their day-to-day liquidity needs with all of their long term ambitions. Regardless of what stage your life is in—moving ahead in your career, enjoying retirement or somewhere in between—we work with you to create a realistic, holistic strategy that integrates the various aspects of your financial life. Providing access to a diverse array of high-quality traditional investment options – including equities, fixed income, mutual funds, UITs, ETFs, separately managed accounts, annuities, closed-end funds and multi-asset programs. Offering clients a diverse range of investment strategies that fall outside of the traditional, long-only purchase and sale of stocks and bonds such as funds of funds, private equity and managed futures. Ready to start a conversation? Contact The Epsilon Group today. The securities/instruments, services, investments and investment strategies discussed in this material may not be suitable for all investors. The appropriateness of a particular investment or investment strategy will depend on an investor's individual circumstances and objectives. Morgan Stanley Smith Barney LLC recommends that investors independently evaluate particular investments and strategies, and encourages investors to seek the advice of a Financial Advisor or Private Wealth Advisor. This material does not provide individually tailored investment advice. It has been prepared without regard to the individual financial circumstances and objectives of persons who receive it. Alternative Investments are speculative and include a high degree of risk. An investor could lose all or a substantial amount of his/her investment. Alternative investments are suitable only for qualified, long-term investors who are willing to forgo liquidity and put capital at risk for an indefinite period of time. Impact Investing: The returns on a portfolio consisting primarily of sustainable investments may be lower or higher than a portfolio that is more diversified or where decisions are based solely on investment considerations. Because sustainability criteria exclude some investments, investors may not be able to take advantage of the same opportunities or market trends as investors that do not use such criteria.